Catching butterflies, looking at worms under a microscope, constructing forest homes and digging in dirt happen to be part of the Virginia-based Manassas Adventist Preparatory School’s (MAPS) curriculum this year. As part of a pilot program, students in kindergarten and first grade are taking time to explore God’s second book of nature as part of a new forestry class. Davis attended several seminars at a teachers’ convention held last fall, inspiring her to see how she could implement the concept in her own school. Currently the 13 students spend two 45-minute class periods in the forestry class, which begins with a short lesson and review of guidelines for exploration. Then the students set off to discover, observe and investigate nature, armed with a wagonload of tools—nets, bug cups, shovels and rakes. Ellen White says, “The fields and hills—nature’s audience chamber—should be the schoolroom for little children. Her treasures should be their textbook. The lessons thus imprinted upon their minds will not be soon forgotten” (Child Guidance, p. 48). Davis whole-heartedly agrees with this and is excited to see the difference it is making in her students. 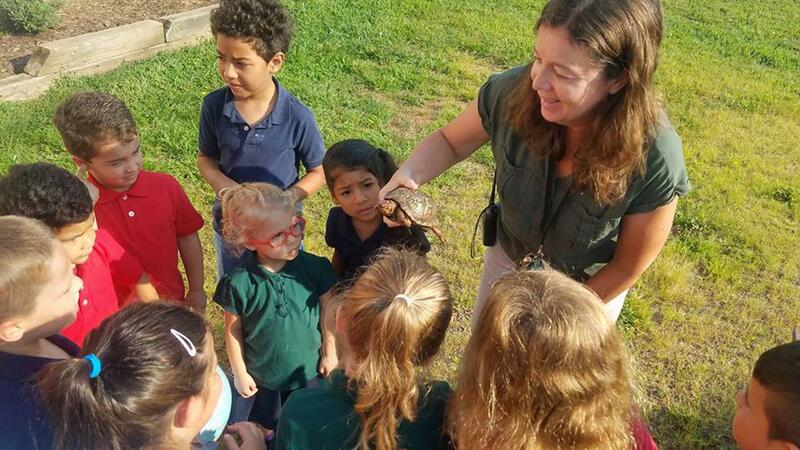 Davis and school administrators are working to find grants to help fund an outdoor classroom area to include items like a music wall, mud kitchen, STEM water station, dinosaur dig sandbox, gardening area and more.